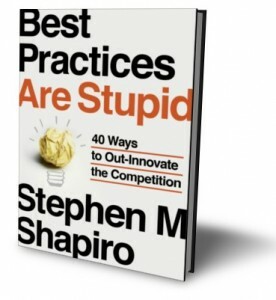 Stephen Shapiro from 27-4 Innovation was plugging his latest book Best Practices Are Stupid – 40 ways to Out-Innovate the Competition at an event I attended today. His focus is on how to speed up or accelerate the rate of innovation. He started with an exercise where he pretended to measure how fast our brains were. He did this by shouting out different numbers in a very quick fashion. We had to capture those numbers. He would then give us assignments in the middle of it. Like “Write down the name of a genius.” Because we were under such time pressure we had remarkable little differentiation in our answers to these challenges. Shapiro says that this is because “Expertise is the enemy of innovation”. The more you know about something, the more difficult it is to come up with new and interesting perspectives on it. When we find a solution we tend to stop looking. If I had an hour to save the world, I would spend 59 minutes defining the problem.. and one minute finding solutions. Kahneman’s Thinking, Fast and Slow has far more eloquently stated descriptions of Shapiro’s examples of the biases in our thinking. This means that you have to move away from generic idea generation tools towards challenge based innovation. The added advantage of that is that you might avoid a common pitfal of crowd-sourcing, something Stephen names “mob-sourcing”. A quick way to catalyse your thinking is to find someone who has already solved a similar problem. When members of a team are cut from the same cloth… you don’t see many failures, but you don’t see many extraordinary innovations either. Innovation is not invention: it is taking something that already exists from a different domain and adapting it. 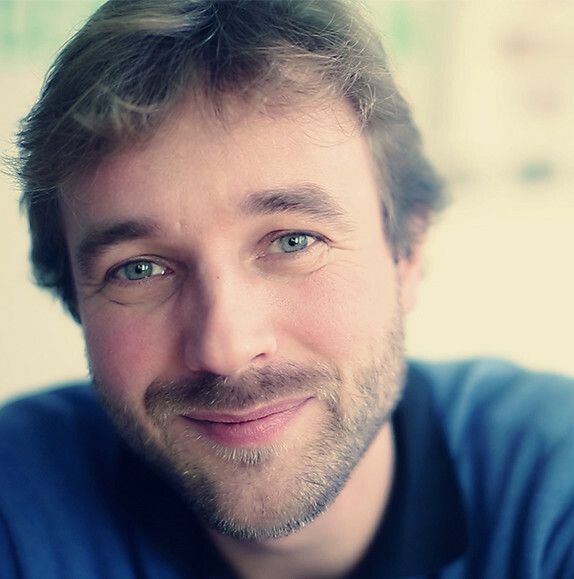 After hearing the presentation Hans – will you be buying his book? Did you hear anything that made you think – “hey this guy is onto something?” Also did the audience ask any interesting questions that challenged the author? Thanks for making us think – and for taking the time to share. Hey Penny, it is my pleasure sharing and the least I could do while being priviliged enough to attend the meeting! I won’t be buying his book, because for me there was little original thinking in what he presented. He just had a very smoorth way of delivery and in the end I saw it more as marketing than as instructive. A pity.